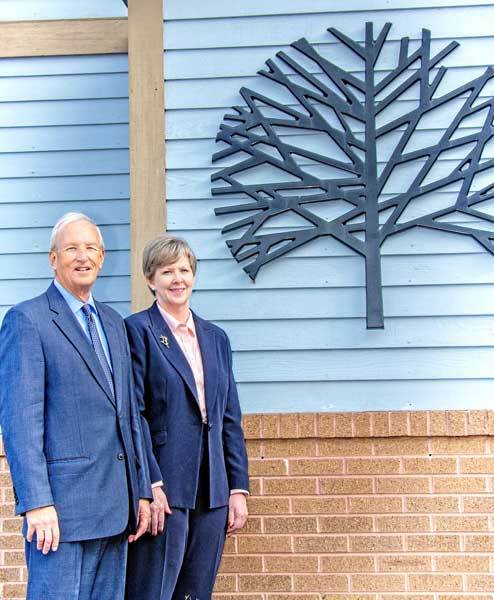 Lenape Valley Foundation announces CEO transition - Times Publishing Newspapers, Inc.
Lenape Valley Foundation (LVF) Board President Bob Rogala has announced that LVF Chief Executive Officer Alan Hartl will be retiring after 38 years with LVF, including being its CEO for the past 27 years. Sharon Curran, the current LVF Chief Operating Officer (COO), has been unanimously approved by the LVF Board of Directors as Mr. Hartl’s successor and the next CEO. The LVF transition in leadership will be effective April 1st, 2019. Mr. Hartl is a licensed psychologist who joined LVF in 1981 and became CEO in 1992. LVF annual revenues have increased seven-fold under his leadership, projected to reach $21M in the current fiscal year and the number of employees has increased from approximately 100 to over 350 staff members. While serving as LVF CEO, Mr. Hartl assumed a variety of other leadership positions, including being on the boards of The National Council for Behavioral Health and the Rehabilitation and Community Providers Association of Pennsylvania. In 2010, he was appointed by Pennsylvania Governor Rendell to the Commonwealth’s National Health Care Reform Implementation Advisory Commission. Ms. Curran has served as an executive at LVF since 2006 and was promoted to COO in 2017. At LVF, she has been instrumental in the expansion of crisis service and outpatient service delivery. She is currently Co-Chair of the Bucks County Crisis Intervention Team Taskforce and past Co-Chair of the Bucks County Suicide Prevention Taskforce. Ms. Curran is a Licensed Clinical Social Worker in Pennsylvania and holds various other professional certifications. Her experience within the mental health and human services industry spans nearly 30 years. She holds a Master of Social Work from Ohio State University and a Master of Business Administration from George Washington University.